Vitamin D is essential for absorption and assimilation of minerals in the bones and maintaining strong teeth. A high deficiency of vitamin D is mainly present among adults, but also in children and adolescents, due to a vegetarian and naturalistic diet and avoidance of exposure to the sun. 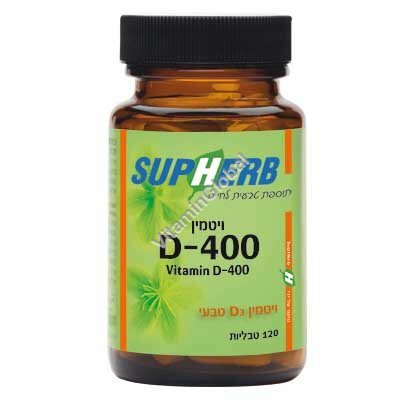 A vitamin D supplement is essential for dark- skinned people, for those suffering from diseases of the digestive system and for old people whose skins do not produce an adequate quantity of vitamin D, even while being exposed to sunlight. Directions: 1 tablet a day, with the meal.